A few days ago we had the pleasure of hosting Mari Nakano from Japan, member of the World Scout Committee, for an open discussion on the “Role of Scouting in Disaster Management”. The Scout Association of Japan was and still is involved in helping the comunity affected by the recent tsunami/eathquake incident. After presenting what the Scouts did to help, Mari engaged the audience in a debate on what Scouting could do in the event of a natural disaster and how Scouts can “be prepared” to help. 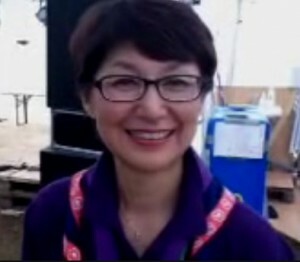 The Scout Association of Japan was helping the 99.000 temporary housing refugees by offering them a hot shower using the showers from their National Jamboree, and also providing access for the refugees to the Association’s facilities, campsite and headquarters. They were also involved in the “Mud Busters” project, that consisted of people cleaning the mud from main buildings (schools, hospitals, etc.) in the area affected by the flod. And they were in charge of the “Tomodachi Pack” programme. Tomodachi means “Friend” in Japanese, and the project consisted of small packs made by Japaneese Scouts with items they donated to the refugees.